Some cynics write off citizen action including petitions and sign-carrying protestors. They don’t believe such small efforts can make any big difference. But the more than 600,000 people of Dutch city Rotterdam disagree. Their efforts, which began with a petition, have led to a “green initiative” in their city including the banning of Roundup, Monsanto’s flagship product. The petition campaign was called “Non-toxic Sidewalks for Our Children.” With support from that country’s Green Party, concerned citizens were able to make a significant change for their city and their future. As we know, Roundup (glyphosate) is a dangerous pesticide that is used all over the world. Though its maker, Monsanto, would have you believe there’s nothing to be afraid of, research says differently. As a matter of fact, glyphosate has been connected to numerous health problems including respiratory distress, cellular damage, and even cancer. Check out this article which outlines just 7 nasty effects of pesticides. Global consumers are getting wise to the dangers of Roundup and the GMO seeds designed to resist it. 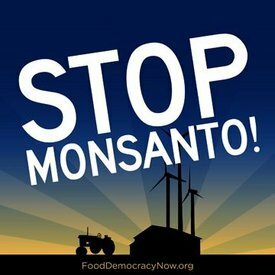 They don’t want Monsanto and other GMO-seed giants taking over the global food supply and have started grassroots resistance movements around the world. The problem lies in getting enough people to take actual action against the seed giants and local, state, and federal lawmakers who support them in one way or another. Collectively, the people of Rotterdam were able to make their voices heard, essentially eliminating glyphosate from their local environment. There’s no reason similar cities in other areas of the world couldn’t do the very same thing. Comically, the U.S. government has recently decided to increase the allowable amount of glyphosate in U.S. food crops, just as another place bans the substance. The new rule allowing for even greater use of this damaging ingredient would take existing limits on glyphosate and dwarf them with new, higher ones. These limits would truly only work to benefit the interests of one, and it’s not the American people, but Monsanto – the giant corporation who is making millions off of genetically modified crops and the destruction of agriculture and human health. In addition to the Roundup ban, Rotterdam’s green initiative will provide new parks and play areas, and even get the city involved in planting fruit trees. There will be more flowers and environments to support bees and wildlife, and more places for the urbanites to take in nature without fear of contamination by Monsanto’s evil poster child.